You don’t typically think of the acronyms USDA and LGBT in the same sentence. But maybe you should. 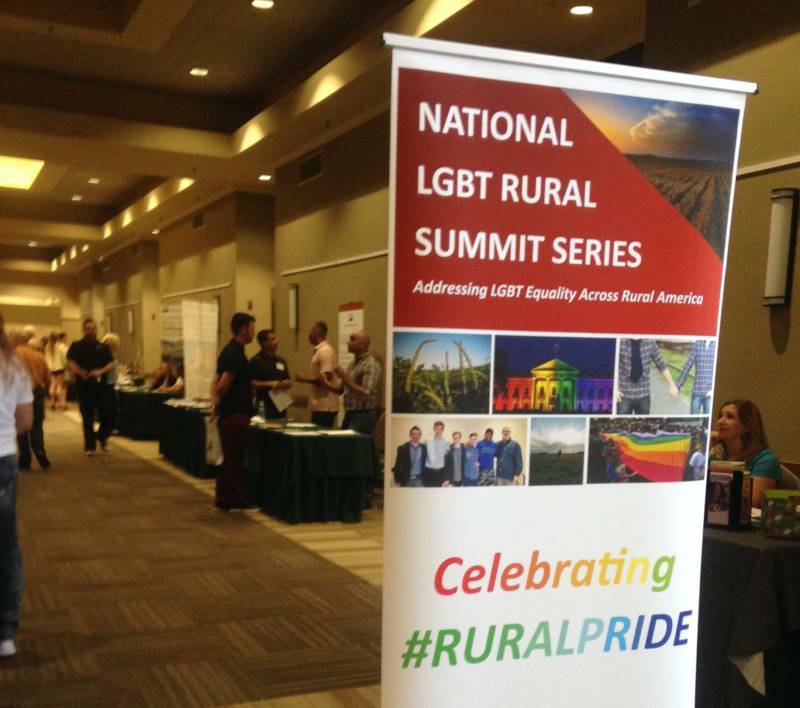 For the past two years, the United States Department of Agriculture has been hosting rural pride summits all over the country, including the most recent one in California in the Central Valley town of Visalia. Ashlee Davis directs these rural summits for the USDA. She says her agency is in almost every county in America. “We are the people’s department,” she says. “And LGBT people are our customers. So why not engage them and connect them to services like rural housing, nutrition and business and farm loans?" Davis says all of the USDA’s programs have adopted protections around sexual orientation and gender identity. USDA Secretary Tom Vilsack has been at the forefront of making the agency inclusive, she says. On Thursday, Davis led an open mic discussion about what it’s like to be LGBT in a rural area. Many people stressed the need for more resources for young people who have been kicked out of their homes, and for elderly and transgender people. 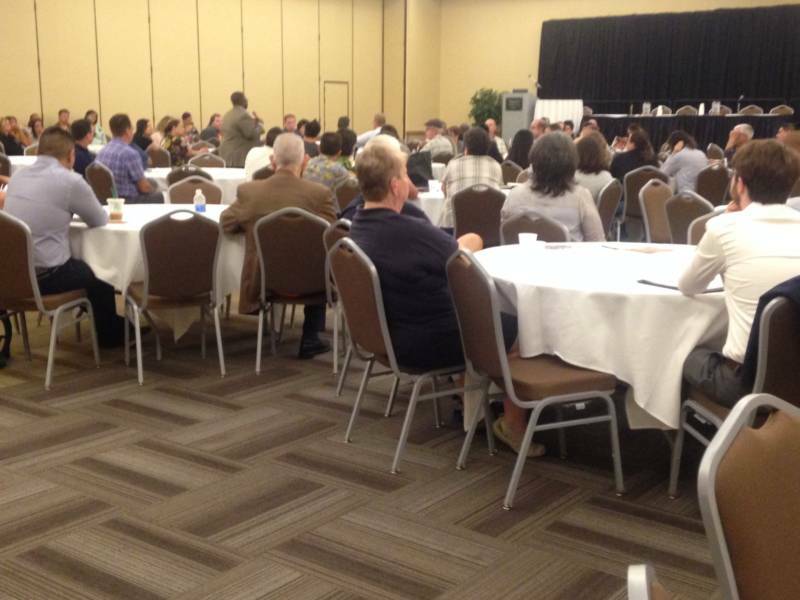 There were also panels addressing health care, immigration, poverty and LBGT youth. The summit was co-sponsored by the San Francisco- based National Center for Lesbian Rights and Cyndi Lauper’s True Colors Fund. According to a recent report by the Williams Institute, an LGBT think tank at the UCLA School of Law, about 10 percent of California’s LGBT population lives in this farm region between Stockton and Bakersfield. LGBT households in rural areas are twice as likely to live in poverty than those in urban areas. At least 20 tables were set up to provide resources. These included the Cultivating Change Foundation, an advocacy group for minorities in agriculture. Hollan says there are many unsung heroes in agriculture who lead by example and provide inspiration to young people to say, "I don’t have to leave the farm, I can still be a farmer and be my authentic self." Christine Chavez helped arrange the summit. She works for the USDA but she knows a bit about organizing from the late Cesar Chavez. She says people face many different issues. Isolation is one theme that comes up frequently, especially for folks in some of the smaller communities like Ridgecrest and Taft. But there are also practical questions about farm loans, she says. And the perennial subject in the Central Valley: water.